You're invited to experience the transforming sound of HU. The event includes a brief introduction to the HU, a HU chant for 15 - 20 minutes, then an opportunity to share your experiences or just listen to others, followed by refreshments. Looking for answers, guidance or protection? Help can come as a nudge, a dream, a vision, or a quiet voice within you. Spiritual Conversations are about finding your own answers in life. Help can come as a dream, an intuitive nudge, a quiet voice within, a vision or just a sense of being loved and protected. Come along with your insights, experiences and stories for an hour of friendly informal conversation about these wonderful life experiences. Share what they mean to you and the importance they have to you in your life. What Is Life Teaching Me Now? We learn very soon that no matter what happens to us, the purpose is to teach us more about the laws of Divine Spirit. With the new calendar year around the corner would you like to explore a different way to view Spiritual Wisdom on Health and Healing? Do you have some experiences you'd like to share? Some topics open to discussion are: Where does healing come from? The purpose of healing. The effect of an attitude. Love and Gratitude, Keys to Good Health. A simple exercise to heal yourself using dreams. We'd love to listen to your experiences! Ask for our table, Spiritual Conversations, at the counter when you arrive. You are warmly invited to attend a free video presentation of the latest talk by Sri Harold Klemp, the Living ECK Master. 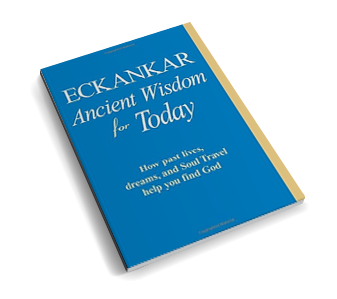 This is Sri Harold's talk from the recent Eckankar Springtime Seminar in Minneapolis, Minnesota, in April 2019. The Master's Talk will commence after a short HU chant. Come and enjoy the heartwarming stories shared by Sri Harold that provide valuable insights and lessons into the joy and wonder of the experiences people from all over the world have with Divine Spirit in their everyday lives. The video will last about an hour, then there will be light refreshments to discuss any insights you received or would like to share. We'd love you to join us for this special event.